Philosophy: In a free-to-play game, getting a player to make their first purchase is very difficult. Players are much more likely to purchase again if they have already paid once. A properly incentivized first time purchase store can break that barrier against the first purchase. Consult the Virtual Currency Guide for more information about defining currencies. Create two currencies: Gold and Silver. Gold will be a premium currency exchanged directly from real money, and Silver will be a free currency earned in-game. Consult the Catalogs Guide for more information about defining catalogs and inventory items. 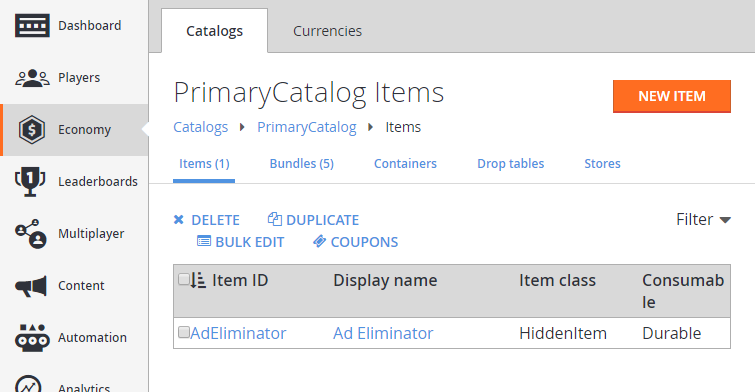 All items in this example use the item class "HiddenItem" which relies on custom client logic to filter these from the client GUI. These items should exist invisibly to the player. Consult the Player Segmentation Guide for more information about defining player segments. 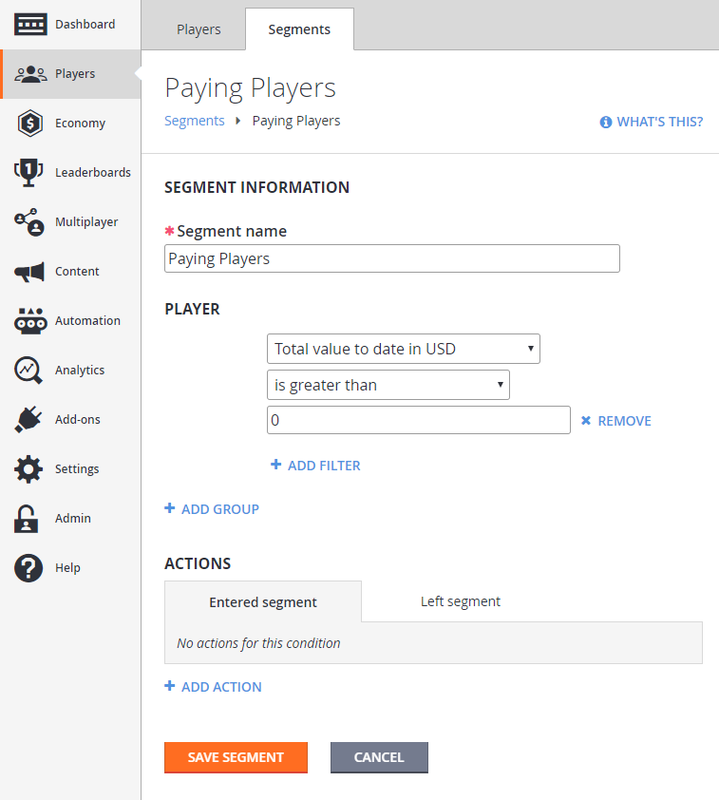 Create a segment called "Paying Players", which is defined by any player with VTD greater than zero. Consult the Stores Guide for more information about creating stores. Create two stores called "BasicStore" and "BasicStore-Paying". Both stores should contain all Gold Bundle items. 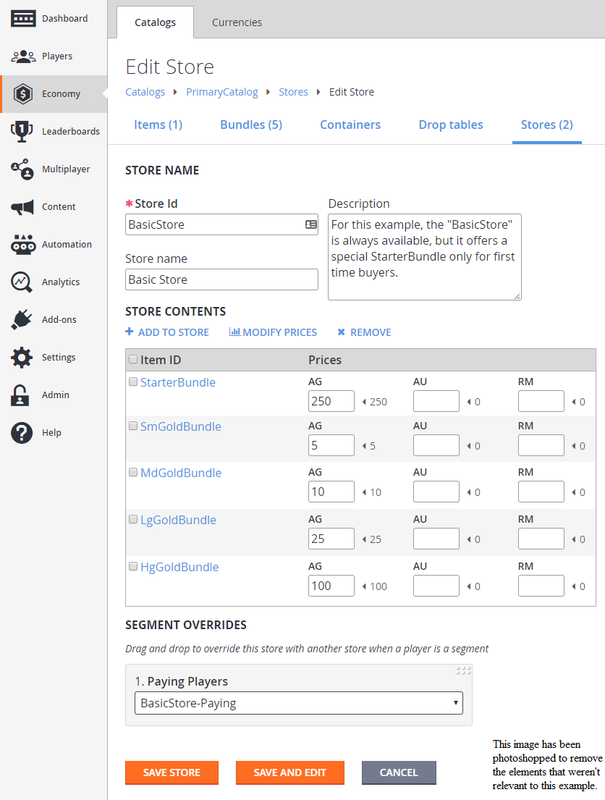 BasicStore should additionally contain the "StarterBundle" from the Catalog above, and "BasicStore-Paying" should additionally contain the "AdEliminator" item. "BasicStore" should have a segment over-ride, which redirects paying customers to the "BasicStore-Paying" option. 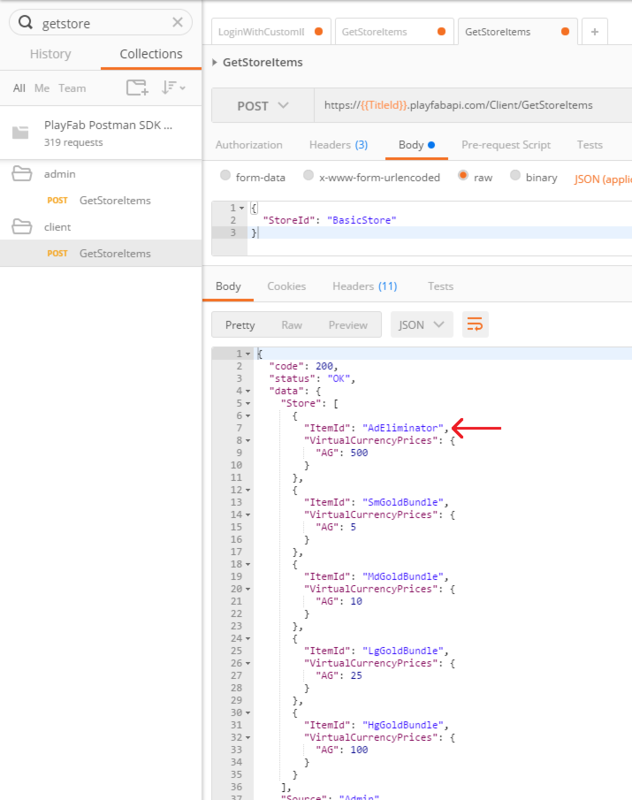 The remainder of this example will be demonstrated in Postman. 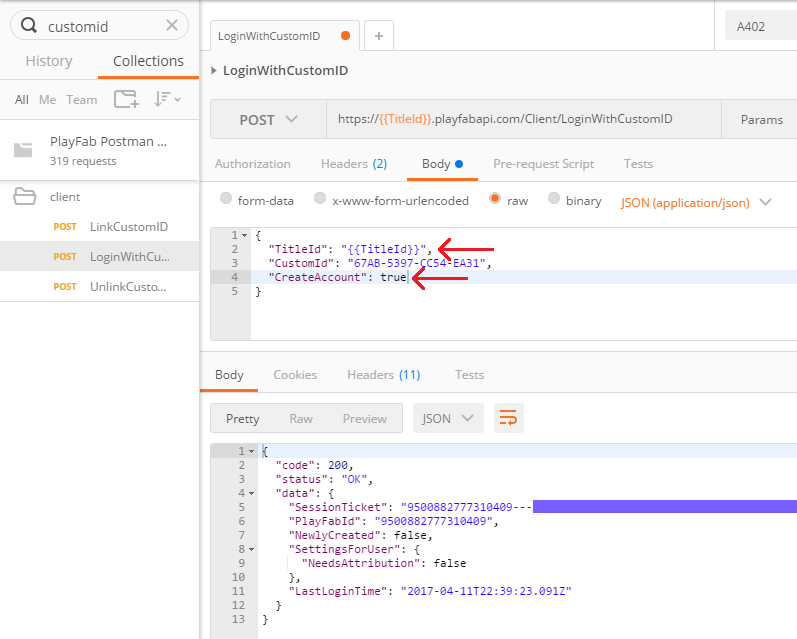 You can use Postman to verify your own results, or you can make the same calls in a game client using your preferred PlayFab SDK. 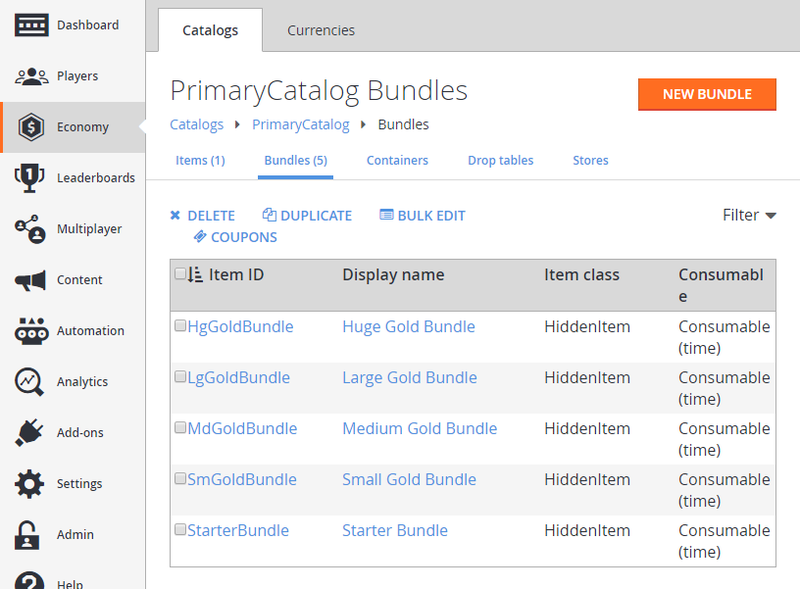 Note, it is possible to purchase the "StarterBundle"
At this point, the steps become very complicated, beyond the scope of this guide. To get into the "Paying Players" segment, you must spend real money with this account. See the Real Money Guide to learn more information about how to get your player into the segment defined above. For testing, modify your segment based on another condition, such as a statistic, and manually set the statistic value for the test player. 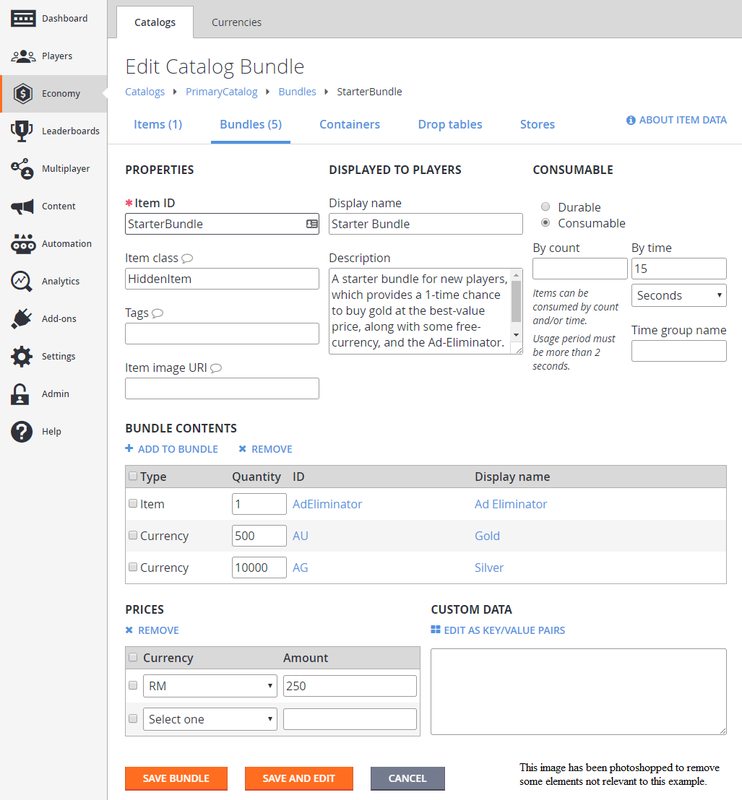 Note the "StarterBundle" is no longer present, but now the "AdEliminator" item is now available for purchase. 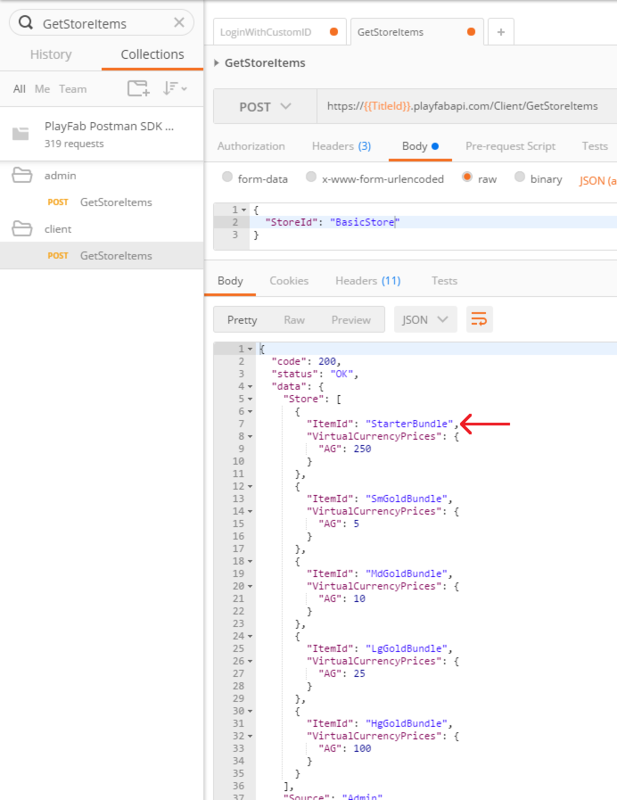 If you do receipt validation and/or payment processing through PlayFab, we can determine the value-to-date (VTD) for your players, and segment players into free players, paid players, and whales. The threshold for whales is up to you to define in your whales segment. 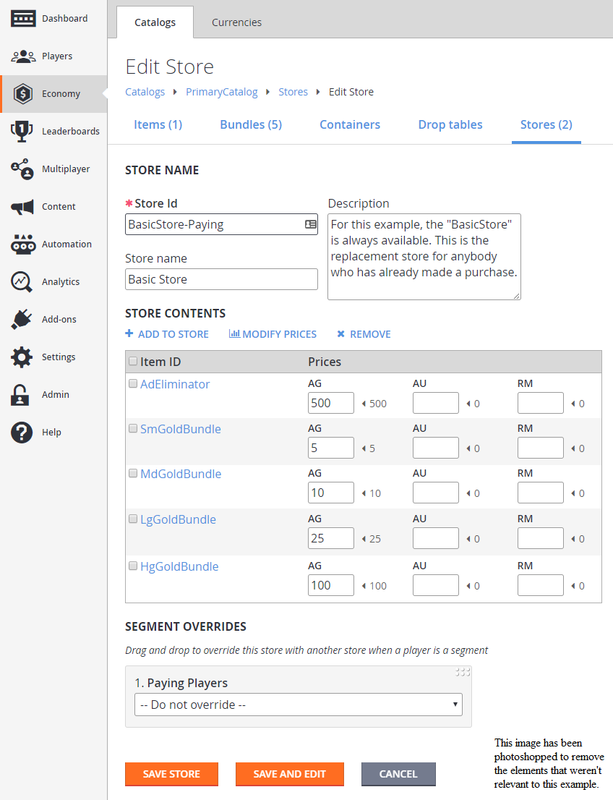 With Stores, you can alter the store content for players based on their segmentation. First time payers are a particularly useful segmentation and you should spend extra effort in incentivizing a players first purchase. Note: The first purchase incentive should not be too valuable. Some players may find more value in starting over and playing from scratch with only the first purchase incentive. Others may find a way to obtain it multiple times, based on an exploit in your game or other loopholes. Best Practice: The AdEliminator item is given as an example of a good first purchase incentive. It is ideal, because obtaining it multiple times is useless - a key element of a good first purchase incentive. Additionally, mobile ads in video games tend to be for other games. Once a player pays you, it is not in your best interest to show them ads for other games.